French edition of the ‘Bourgeois’ Tarot by Héron. This style of tarot originated in the mid 19th century with C.L. Wüst of Germany, but French cardmakers appropriated the pattern in c.1900. Each trump card depicts slightly sentimental scenes of late 19th century social and rural activities which follow an underlying scheme based on the ages of man, the four elements, the seasons, etc. Héron is now a part of France Cartes. Above: Heron's standard pack for the French game of Tarot. 78 cards + leaflet with rules in French. 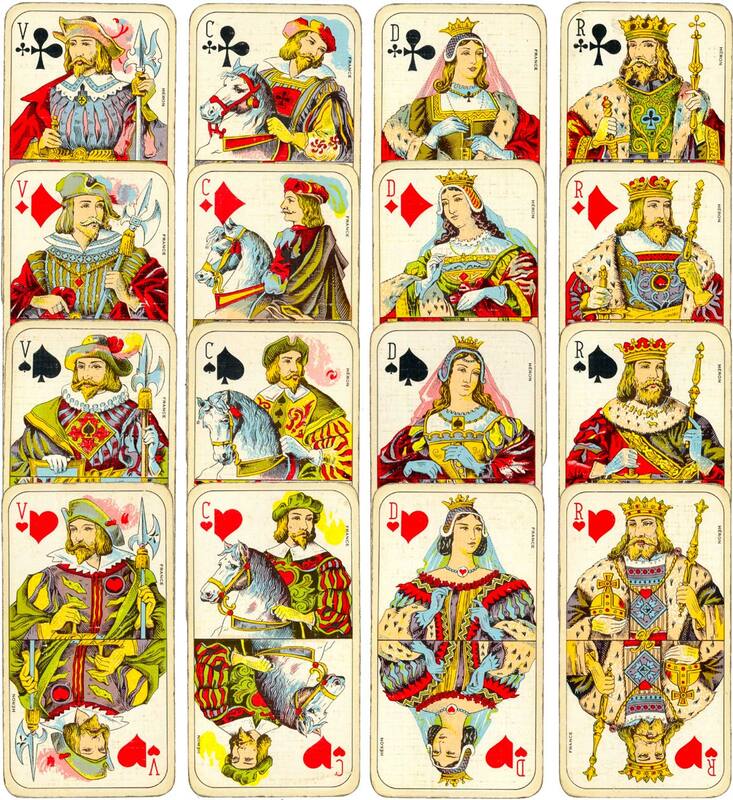 The four court cards of Jack (Valet), Knight (Chevalier or Cavalier), Queen (Dame) and King (Roi) do not use the standard Paris pattern but have their own unique design. Images courtesy Matt Probert.